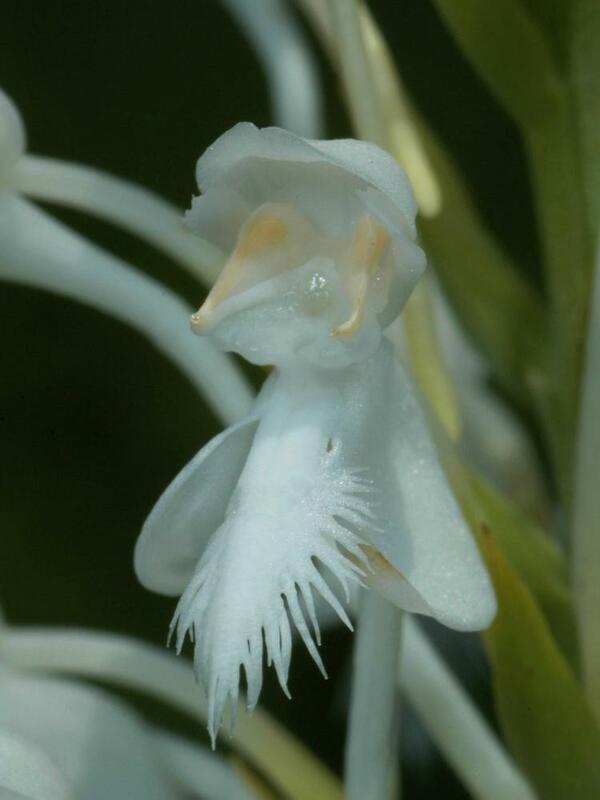 Accepted Synonyms: Blephariglottis blephariglottis, Habenaria blephariglottis var. 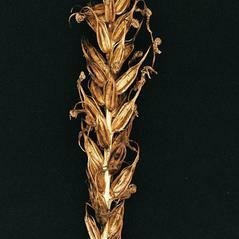 blephariglottis. 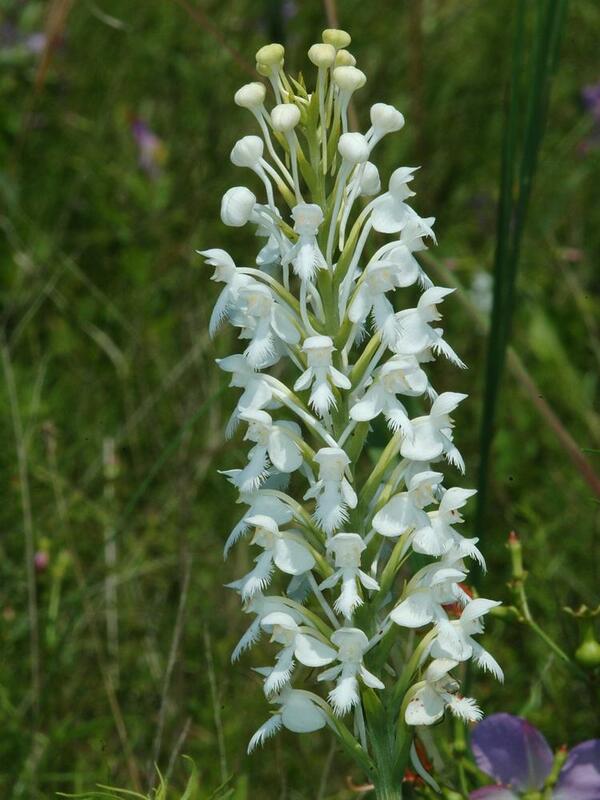 Platanthera blephariglottis, commonly known as White Fringed Bog Orchid, is broadly distributed across the East Coast of the United States and Canada from Florida to Newfoundland, around the Gulf Coast states west to Texas, and one disjunct population in Illinois. 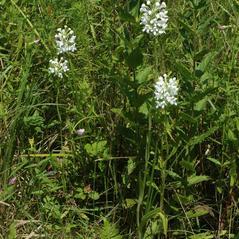 It produces several small stem leaves, and bears an inflorescence of multiple large, showy, white flowers. 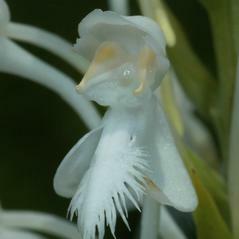 The labellum is distinctly and often heavily fringed, and the flowers have a long nectar spur which extends back away from the labellum. 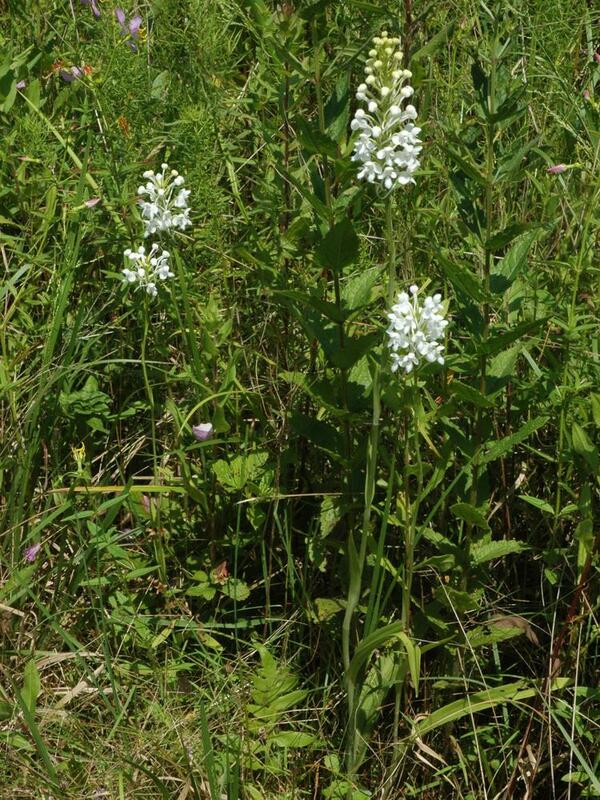 It can be found in bogs, wet meadows, marshes, and moist, open woodlands. 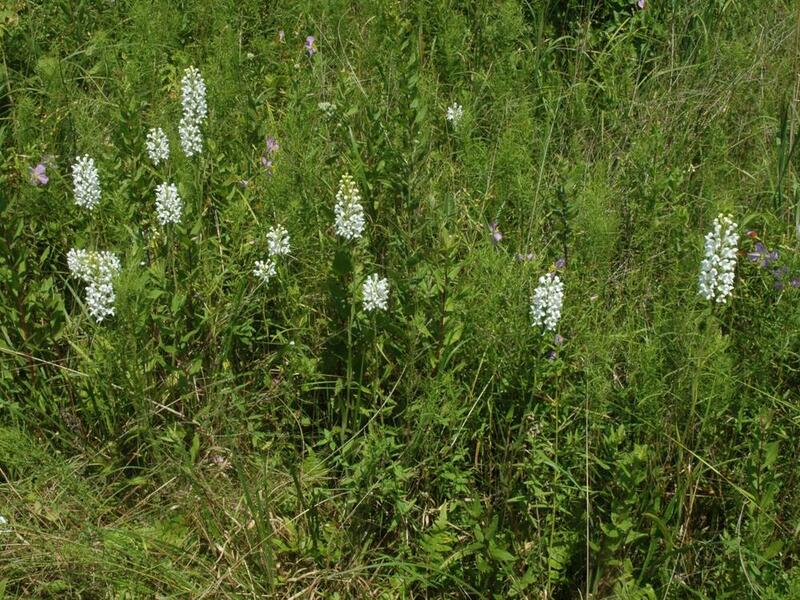 P. blephariglottis is globally considered apparently secure, but is rare in several states throughout its range. 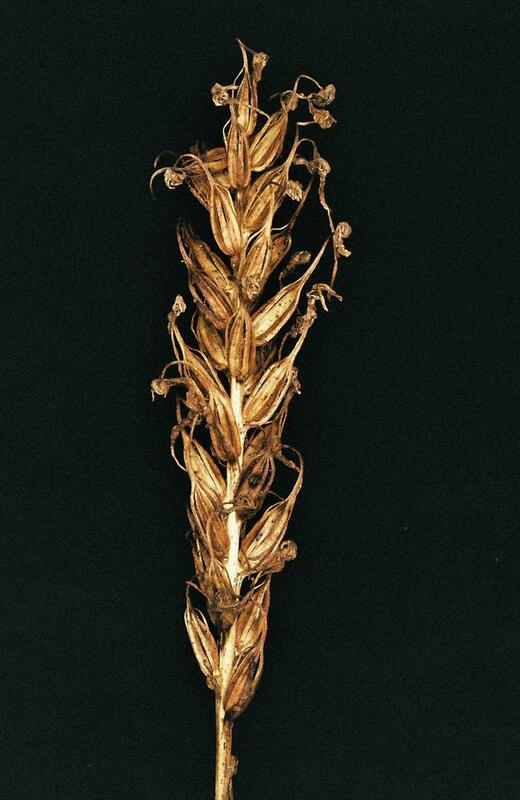 It is known to hybridize with P. ciliaris, resulting in an intermediate form named P. × bicolor with yellow flowers, and with P. cristata, producing a plant named P. x canbyi. 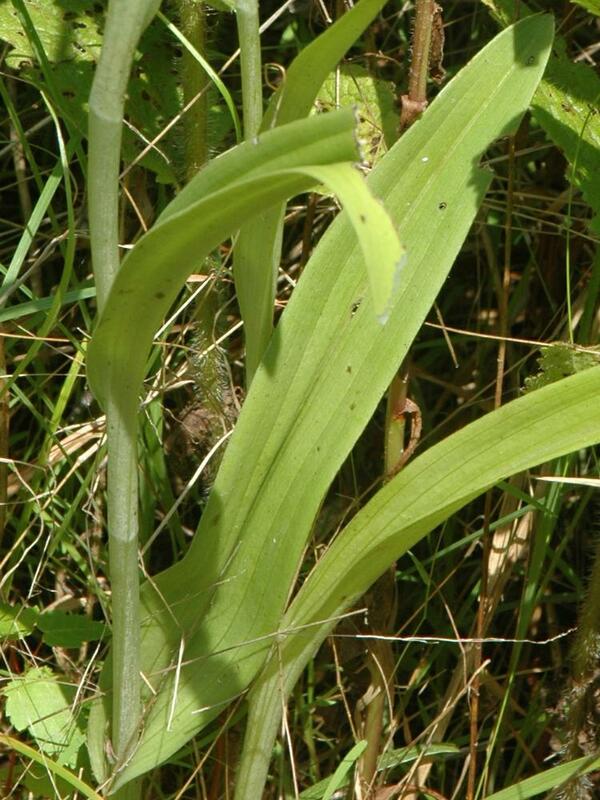 This orchid has many known pollinators including moths, butterflies and bumble bees in search of nectar such as Bombus fervidus, Bombus vagans, Colias philodice, Danaus plexippus, Darapsa versicolor, Epargyreus clarus, Euphyes vestris, Hemaris thysbe, Papilio glaucus, Papilio troilus, Pieris rapae, Polites mystic, Polites peckius and Strymon melinus. When the insect sticks its long proboscis into the flower to collect nectar, the pollinia attaches to the compound eyes and is carried to the next flower as it searches for nectar. 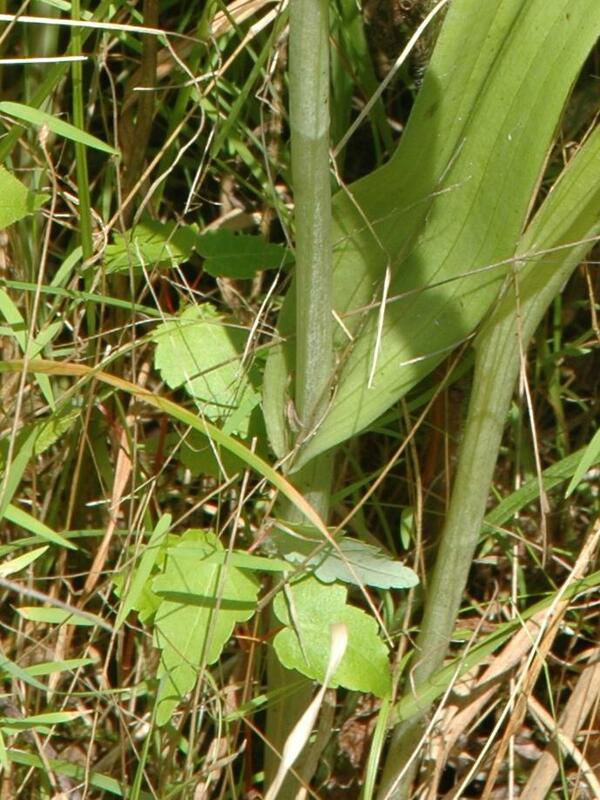 Short-tongued insects, like Apis mellifera, have been observed visiting the flowers but had a difficult time accessing nectar and did not carry any pollinia. 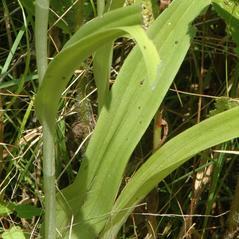 Platanthera blephariglottis var. 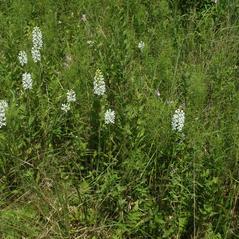 blephariglottis has a more northern distribution, a less heavily fringed labellum, and a shorter nectar spur. 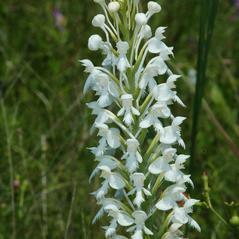 Platanthera blephariglottis var. 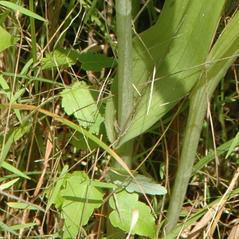 conspicua has a more southern distribution, a more heavily fringed labellum, and a longer nectar spur (at least 30mm long).